Another Wild Weekend In Store In Montreal? 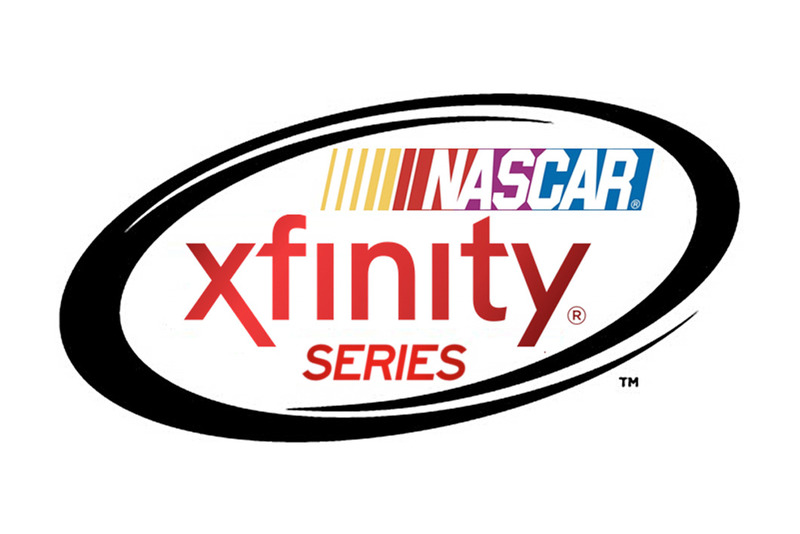 It's one of the most anticipated races of the NASCAR Nationwide Series season. It's also had a penchant for being one of the most bizarre. Add those elements together and they equal the NAPA Auto Parts 200 presented by Dodge, at Circuit Gilles Villeneuve in Montreal. The buzz truly builds around this race, as it approaches, for obvious reasons. Over its three years, the event has produced thrilling racing on the historic 14-turn, 2.710-mile track on the unique, man-made Ile Notre-Dame. The fan turnout has been tremendous, especially considering the inclement weather that cropped up during the past two races. Instead of heading for home, the crowd remained, ponchos at the ready. There's also the European feel of Montreal, different from any city the series visits. Then there's the element that the series has become famous for â€" racing in the rain. Rain has been the headliner during the last two races. The 2008 event was the first points race in the rain in NASCAR national series history. Last year, teams once again honed their skills by preparing for and competing in the rain, then getting back to dry-condition racing during the same event. The racing has been some of the best - and strangest - in each of the last three seasons. Kevin Harvick won the inaugural event in 2007, one in which Robby Gordon (No. 07 Mapei/Menards Chevrolet) - who's back for the first time since that event - thought he had won after he and Marcos Ambrose (No. 47 Little Debbie/Giant Tiger/Glad with Febreeze Toyota) took turns spinning each other in the final laps. Gordon, Harvick and Montreal's own Patrick Carpentier (No. 00 NAPA Toyota), who finished second, all were doing doughnuts on the frontstretch. In 2008, Canadian Ron Fellows (No. 88 Canadian Tire Chevrolet) won the first "rain race," which actually was shortened because of too much puddling in some areas of the track due to the downpour. Last year, Carl Edwards (No. 60 Fastenal Ford) spoiled a dominating run by Ambrose, passing him on the final turn of the last lap to win. Ambrose, who has led 124 of 199 total laps over the three races at Circuit Gilles Villeneuve but has yet to go to Victory Lane, has vowed to "Run this thing until I win it." "I love going to Canada," Edwards said. "When we won last year â€¦ to be able to beat Ambrose like that with as good as he was, with the rain and the wet track, and then the crowd went crazy and was singing some song I don't know â€¦ it was cool. I'm excited to go back there." A road-course ace does not necessarily a winner make. Granted, Marcos Ambrose, a veteran of road-course racing before his full-time entry into NASCAR in 2006, has won at Watkins Glen the last three seasons. But "ringers" haven't been as dominant in recent years in NASCAR Nationwide Series road-course events. Since 2005, when the series returned to running at least twice per season at road venues, only "aces" like Ambrose, Juan Pablo Montoya (Mexico City 2007) and Ron Fellows (Montreal, 2008) have wins. Otherwise, it's been a bevy of career stock-car drivers who have made it to Victory Lane. Two-time series champion Martin Truex Jr. won the inaugural race at Mexico City in 2005, followed by Denny Hamlin (2006). Kevin Harvick won Montreal's inaugural race (2007) and Carl Edwards won at Circuit Gilles Villeneuve last year. Ryan Newman (2005), Kurt Busch (2006) and Harvick (2007) won at The Glen before Ambrose's trio of victories. Brad Keselowski (No. 12 Discount Tire/Ruby Tuesday Dodge) is one of the best road-course racers among series regulars. After finishing 43rd in his first series road-course race at Mexico City in 2007, Keselowski's average finish in the 12 road races since is 6.9, including consecutive career-best fourth-place efforts at Road America and Watkins Glen earlier this summer. He was fifth last year in Montreal. The NASCAR Nationwide Series has put on some spectacles in its three races at Circuit Gilles Villeneuve. Quite literally, there have been moments rarely seen anywhere else in the sport. Name it, it's happened: rain tires, two-car burnouts, last-lap passes for the win. But there is something that hasn't happened yet: Perfection. None of the first three race winners - Kevin Harvick, Ron Fellows and Carl Edwards - has dominated in such a fashion as to score a perfect Driver Rating of 150.0. Considering the way that series road-course races have played out so far this season, the first Montreal perfect 150.0 might occur this Sunday. At both Road America and Watkins Glen, wins were coupled by a perfect Driver Rating. Edwards nailed one at Road America; Marcos Ambrose posted one at Watkins Glen. Edwards: He has the top average Driver Rating at the road courses this year (116.5), but that had a lot to do with his Road America dominance. He finished 33rd at Watkins Glen, with a Driver Rating of 83.0. Ambrose: Has run all three Montreal races with finishes of second last year, third in 2008 and seventh in 2007. He has the top average Driver Rating there with an incredible 140.6. Jacques Villeneuve: Villeneuve has a Driver Rating of 105.1, which is second-best among drivers in Sunday's field. He finished fourth last year. Steve Wallace (No. 66 5-Hour Energy Toyota): One of three drivers who has scored a top 10 in each of the first two road-course races this season (the others are Ron Fellows and Brad Keselowski). Wallace's Driver Rating in the road courses this season: 89.2. Brad Coleman (No. 18 Safeway Driving Centers Toyota): He'll be driving top equipment and is excellent at road courses. Don't let last year's 28th place finish at Montreal fool you. In that event, he had a Driver Rating of 97.2 and an Average Running Position of 11.0. Along with the largest entry list in the fouryear history of this race - 47 cars - there also will be plenty of star power at Circuit Gilles Villeneuve. First, it's the final open weekend of the season for the NASCAR Sprint Cup Series. So that opens the door for more double-duty drivers to race in Montreal. 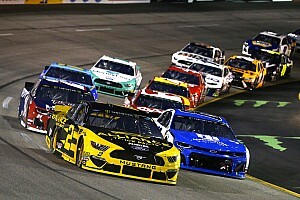 In addition to the three full-time double-duty drivers, led by NASCAR Nationwide Series standings leader Brad Keselowski, others include Joey Logano (No. 20 GameStop Toyota) and Robby Gordon. Then there's the list of road-course aces and home-standing Canadians that puts an exclamation point on the entry list. The last two winners are in the field, Ron Fellows and Carl Edwards. Fellows is among a contingent of Canadians who are entered. Patrick Carpentier won the inaugural pole in 2007 while Jacques Villeneuve (No. 32 Dollar General Toyota), the former F1 champion and Indy 500 winner, returns to the track that bears his father's name. Young standouts Andrew Ranger (No. 27 Dodge Dealers of Quebec Dodge) and JR Fitzpatrick (No. 7 Shick Hydro Chevrolet) each have won at Circuit Gilles Villeneuve in the NASCAR Canadian Tire Series presented by Mobil 1. Ranger, who surprised many by finishing third in this race last year, is a two-time NASCAR Canadian Tire Series champion. Fitzpatrick is the current standings leader in that series. Other international standouts also will take the stage. Marcos Ambrose (Australia) is again a strong favorite as is Italy's Max Papis who will drive the No. 33 Chevrolet for Kevin Harvick Inc. Victor Gonzalez Jr. (No. 05 31-W Insulation Chevrolet) is back. He made his series debut last year at Circuit Gilles Villeneuve, becoming the first Puerto Rican to start a NASCAR Nationwide Series race. A couple of other noteworthy names are Paulie Harraka (No. 87 Exide Batteries Chevrolet) and Tomy Drissi (No. 82 Wall Street Movie Dodge). Harraka, 20, will make his national series debut in Montreal driving for 1992 series champion Joe Nemechek (No. 97 HostGator Chevrolet), who has a history of putting young drivers in his cars. Harraka posted the first wins for NASCAR'S Drive for Diversity ("D4D") program in the NASCAR K&N Pro Series West last year and has one win and five top fives after nine races in that series this year. Harraka is entering his junior year at Duke University, and has a busy week in front of him. He'll move into his college digs on Wednesday before heading to Montreal. He begins classes at Duke on Monday as a Markets and Management / Sociology major. He'll also be featured in the "D4D" reality show "Changing Lanes," which debuts Wednesday on BET Network. Drissi is the defending Trans-Am Series champion. He's from Hollywood, Calif., and will attempt his series debut driving for MacDonald Motorsports. Team owner Randy MacDonald is a native of Oshawa, Ontario. It's not a bad thing to have something in common with Kyle Busch and Kevin Harvick. Among other career accolades, both drivers have registered wins in each of NASCAR's three national series this season. Although not on the national series scale, Andrew Ranger also has wins in three different NASCAR series this year. He's won twice in the NASCAR Canadian Tire Series and has one win in both the NASCAR K&N Pro Series, East and West. Busch, the reigning NASCAR Nationwide Series champion, most recently accomplished that feat in historic fashion, winning each of the three NASCAR national series races last weekend at Bristol Motor Speedway. Harvick, a two-time NASCAR Nationwide Series champion, has two NASCAR Nationwide victories and three wins each this year in the NASCAR Sprint Cup Series and in the NASCAR Camping World Truck Series. Baker Curb Racing's No. 27 car has two impressive runs on road courses this season with two drivers making their NASCAR Nationwide Series debuts. Owen Kelly finished fifth at Road America while Nelson Piquet Jr. was seventh at Watkins Glen. Ranger will be the 11th different driver to climb behind the wheel of the No. 27 in 2010. Of those, four countries will have been represented: the United States (2002 NASCAR Nationwide Series champion Greg Biffle, Jennifer Jo Cobb, Drew Herring, Justin Lofton, Danny O'Quinn Jr., Johnny Sauter, Scott Wimmer and Josh Wise); Canada (Ranger), Australia (Kelly) and Brazil (Piquet Jr.). Road course aces and double-duty drivers may be getting the headlines for Sunday's race, but don't overlook series-only regulars who have quietly had solid road-course races this season. Last year, three "regular guys" finished in the top 10 - Brad Keselowski was fifth, Tony Raines (No. 34 Long John Silvers Chevrolet) was sixth and Brendan Gaughan (No. 62 South Point Hotel & Casino Toyota) finished ninth. At Road America in June, Gaughan was third, Brad Coleman was sixth, Jason Leffler (No. 38 Great Clips Toyota) finished eighth while Steve Wallace, Trevor Bayne (No. 99 OUT! Pet Care Toyota) and Colin Braun (No. 16 3M Ford) finished in positions 9-11. Earlier this month at the Glen, Wallace was ninth and Michael McDowell (No. 81 K-Love Dodge) finished 10th. Tayler Malsam (No. 10 Iron Horse Jeans Toyota) was 12th, improving upon his series road-course debut finish of 15th at Road America. Stout finishes, considering five and eight double-duty drivers or road-course ringers finished in the top 10 at both races, respectively. Back to Raines, he's the Nationwide Insurance "Driver of the Week." Bayne Goes Through "Car Wash"
Kyle Busch notwithstanding, Trevor Bayne should be listed among the hottest drivers in the NASCAR Nationwide Series. Bayne, 19, is currently eighth in the driver points, and comes off a sixth-place finish at Bristol. He was one of three series-only regulars in the top 10 there - Jason Leffler was second and Parker Kligerman (No. 26 K-Automotive Motorsports Dodge) was a career-best ninth. Bayne has had four top-five finishes in his last nine races in addition to his sixth-place at Bristol. He tied a NASCAR Nationwide Series record with three consecutive poles at Gateway International Raceway, O'Reilly Raceway Park at Indianapolis and Iowa Speedway. Ford broke up Chevrolet's two-race winning streak at Circuit Gilles Villeneuve last year. Toyota won the inaugural pole in 2007 and also last year. Dodge captured the pole in 2008. The Great Clips 300 at Atlanta on Saturday, Sept. 4, represents the 10-races-to-go mark in the season. The race starts at 7 p.m. ET with the NASCAR Countdown prerace show on ESPN2 starting at 6:30 p.m. A pair of two-time series champions were in the spotlight last year. Kevin Harvick won, while Dale Earnhardt Jr. captured the pole. Saturday: Practice, 9:00-11:00 a.m. Final Practice, 11:30 a.m.-12:50 p.m. Qualifying, 5:05 p.m.